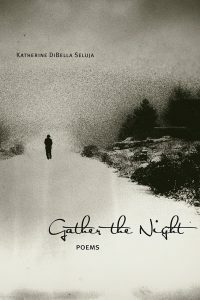 I’m so happy to announce the publication by UNM Press of my first collection of poems GATHER THE NIGHT. This book is dedicated to my brother, Lou who lived with schizophrenia and substance addiction. The poems examine the impact of mental illness and addiction on the individual as well as the family. Included are prose poems and persona poems that express in the voice of psychosis, the voice of addiction, and Lou’s imagined voice. There are also poems inspired by my experiences in healthcare and in particular my years working with premature infants in the newborn ICU. GATHER THE NIGHT is available for e-readers and in hard copy from UNM Press and Amazon. Release date 8/15/18.